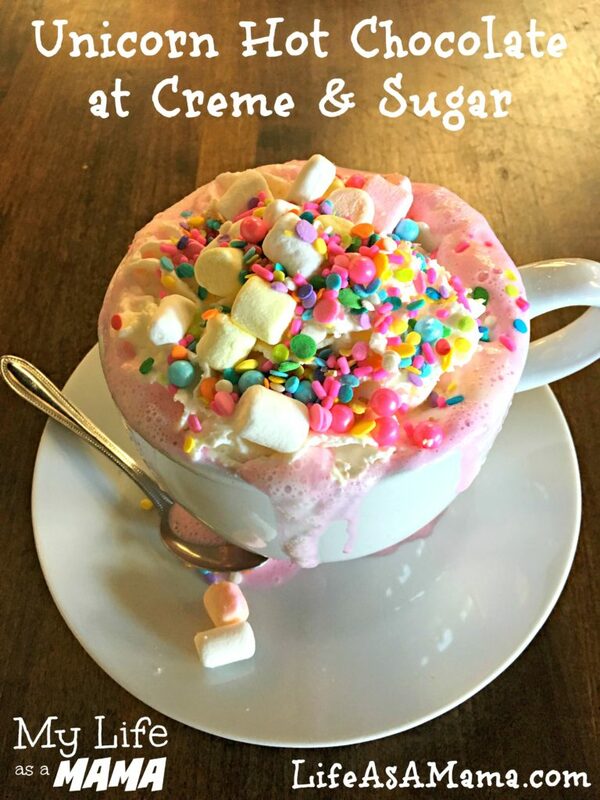 We live in a town in north Orange County where there’s a cute little coffee shop called Creme & Sugar. It’s fairly new and has been popular locally but never very crowded. A few months ago they introduced some new “secret” items. 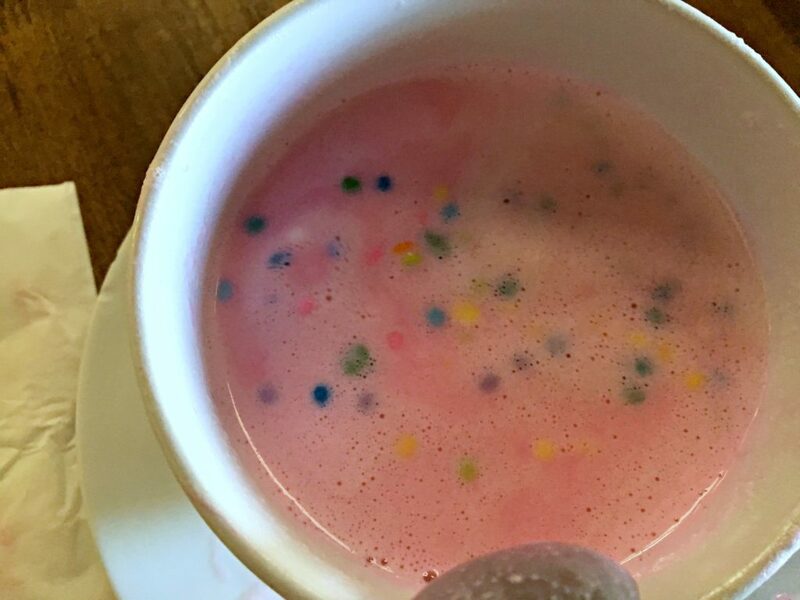 One of them is Unicorn Hot Chocolate. 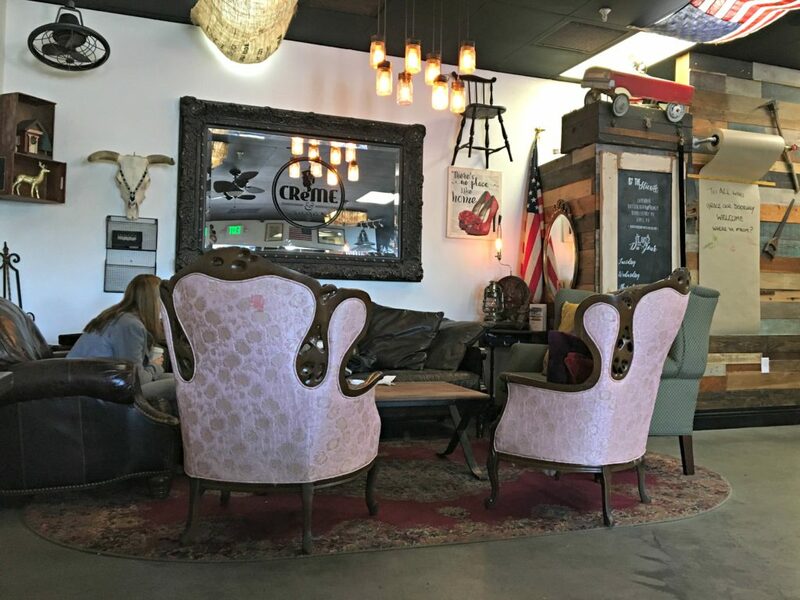 Videos about the Unicorn Hot Chocolate have gone viral and this quiet coffee shop in our small suburb town has turned into a popular hot spot for people near and far. Lines, that used to be short or non-existent, can be very long if one’s visit isn’t timed right. 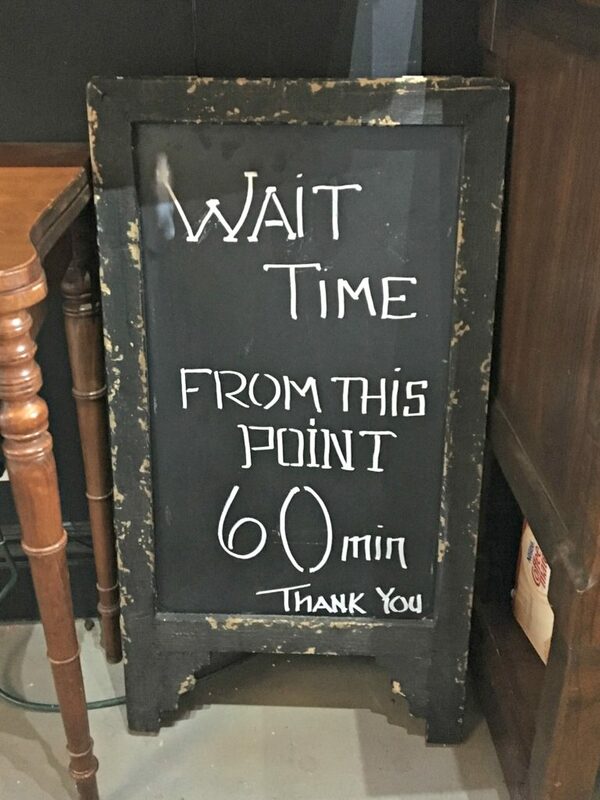 I’ve heard of people waiting over an hour to place an order, and up to 45 minutes to receive their order. 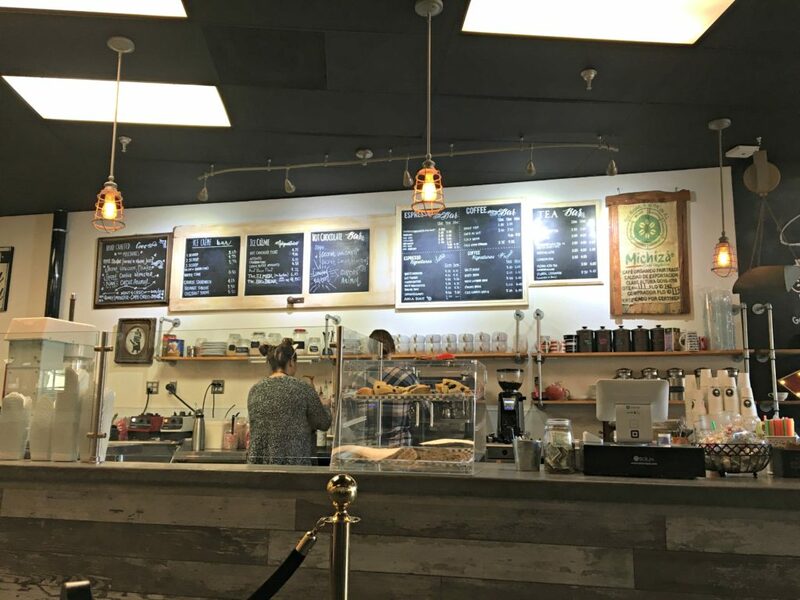 Locals aren’t thrilled about the lines at their favorite formerly quiet coffee shop, but we’re happy for Creme & Sugar’s success! 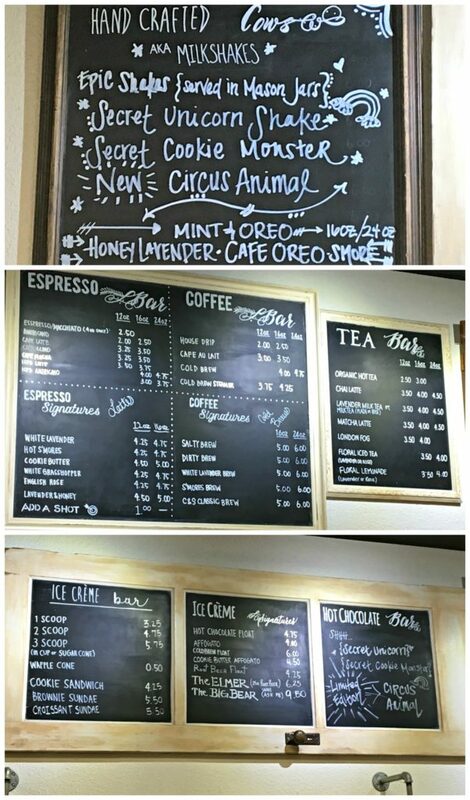 I saw this sign inside the store. 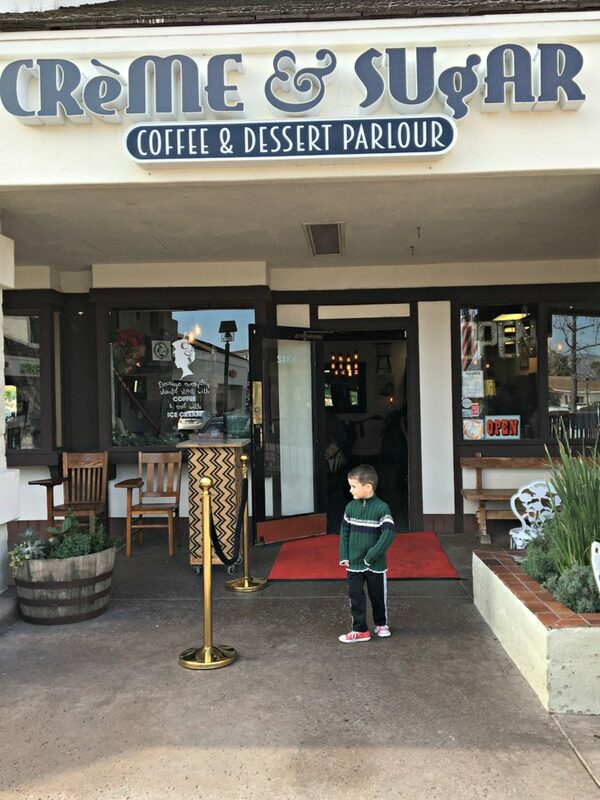 Nolan and I were on our way home from an errand one weekday morning and, since we hadn’t had the Unicorn Hot Chocolate experience yet, I decided to swing by to see if there was a line. We got lucky! No line! Woot woot! So we headed inside to see what the excitement was about. 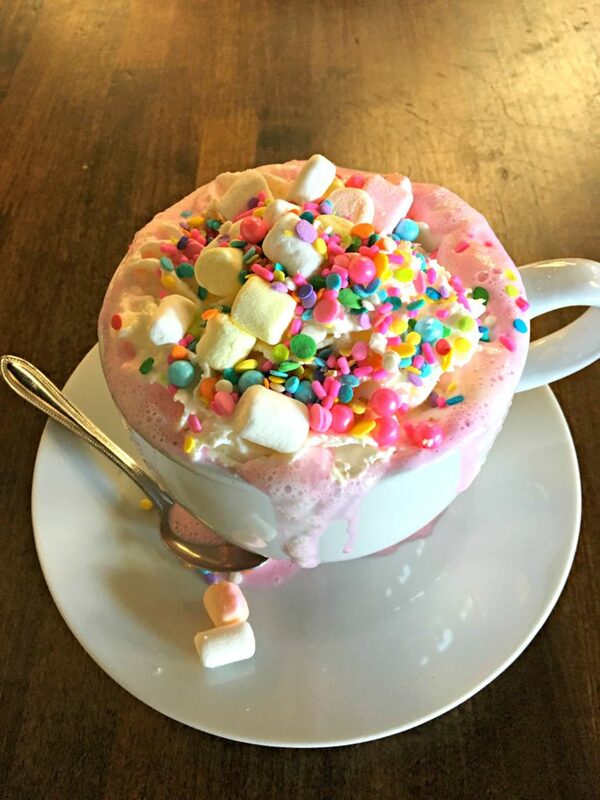 We ordered our Unicorn Hot Chocolate at the counter. Then we waited for a bit. We didn’t wait that long. Mr. Personality was just anxious to get his hot chocolate. 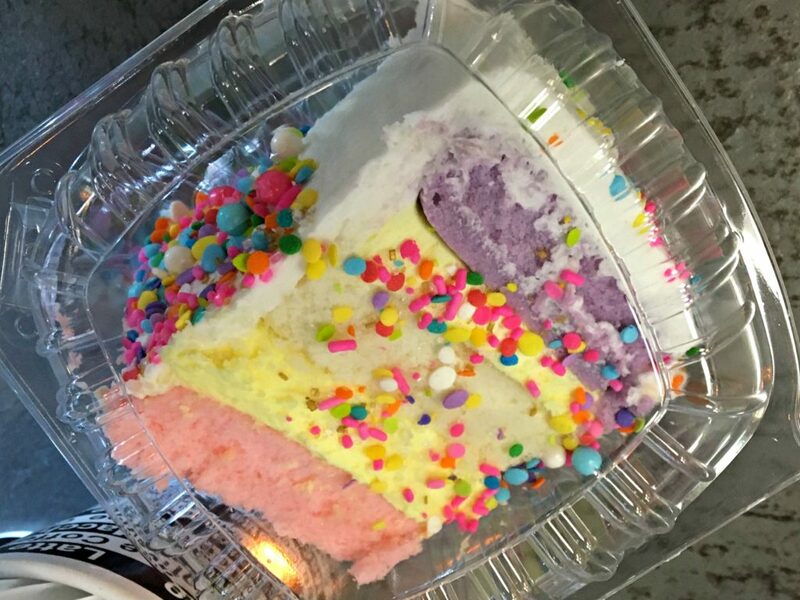 When it was finally ready, we were presented with a frothy, overflowing mug of pink and white fluffy sprinkle-covered yummies! I had to hold Nolan back so I could take a photo. My boy dove right in. He loved the marshmallows and ate every one of them. Then he decided was done and it was my turn. 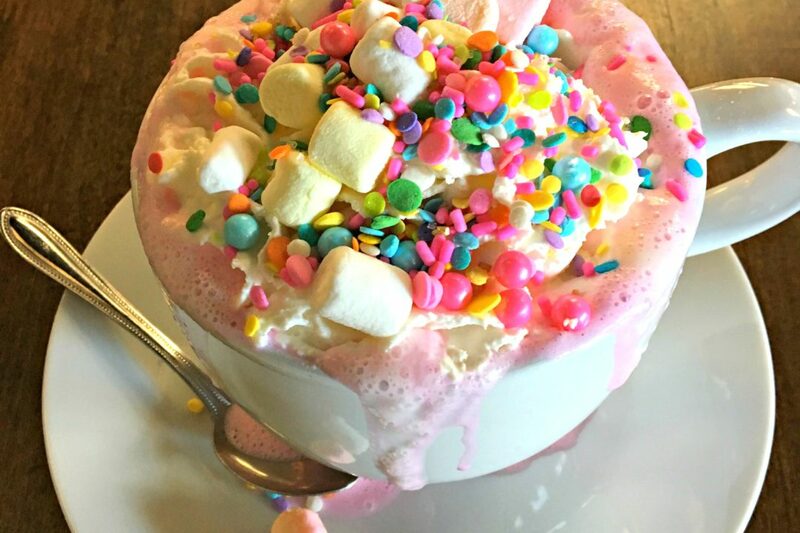 I won’t comment on the taste of the hot chocolate, but I will say that I told my pregnant neighbor that she should drink a Unicorn Hot Chocolate if she wants a preview of how she’ll feel after her glucose test in a few weeks. It’s very pink. 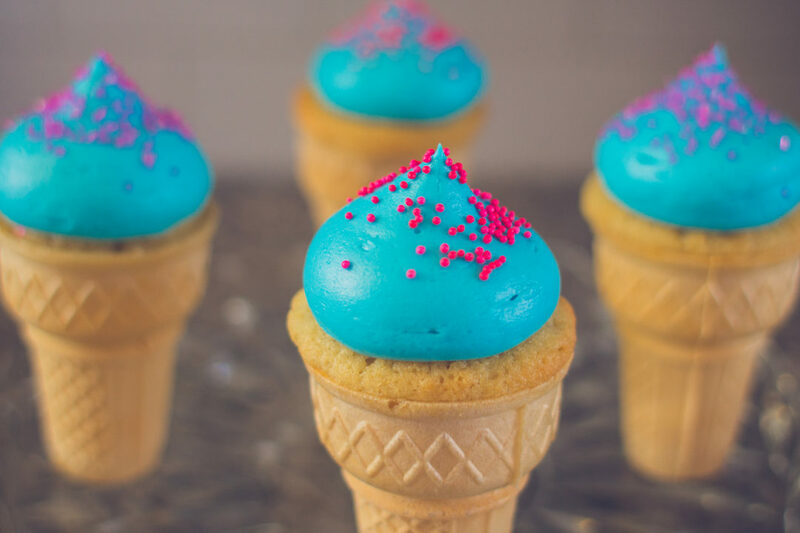 And very sweet. Creme & Sugar serves many other drinks. 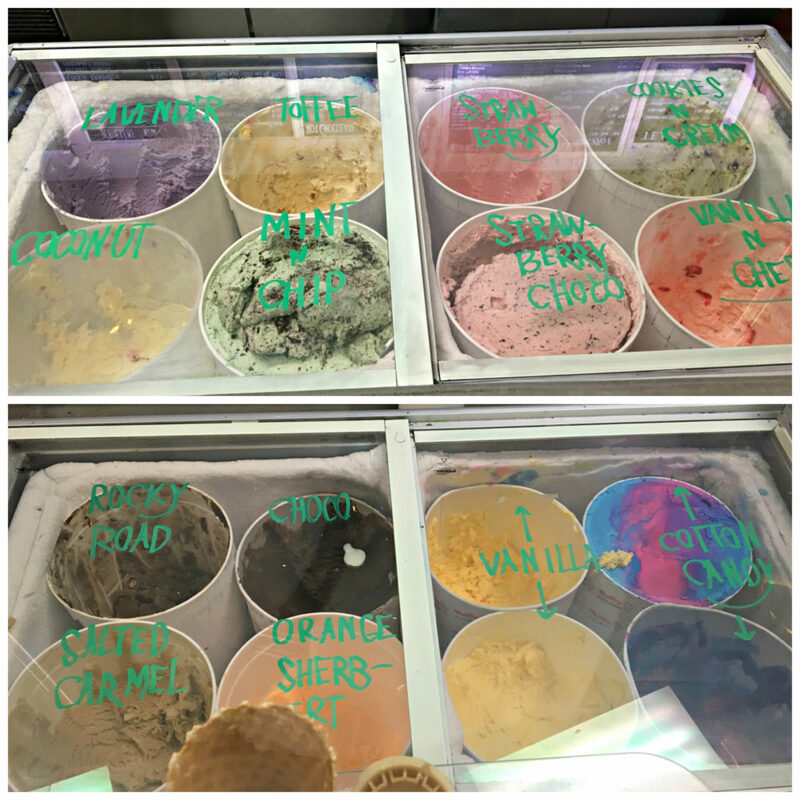 They also have ice cream and an assortment of baked goods. 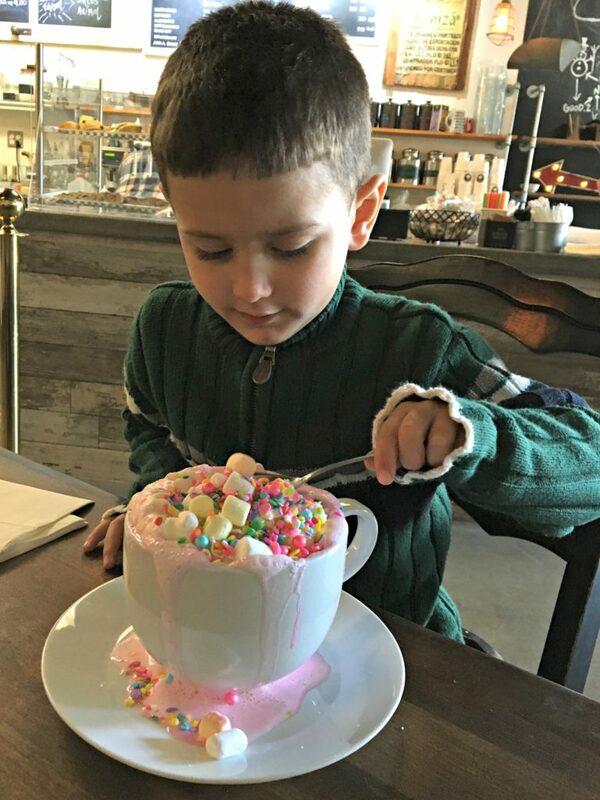 If you want to give your kids a cute, fun, colorful hot chocolate experience, you need to get them a Unicorn Hot Chocolate. 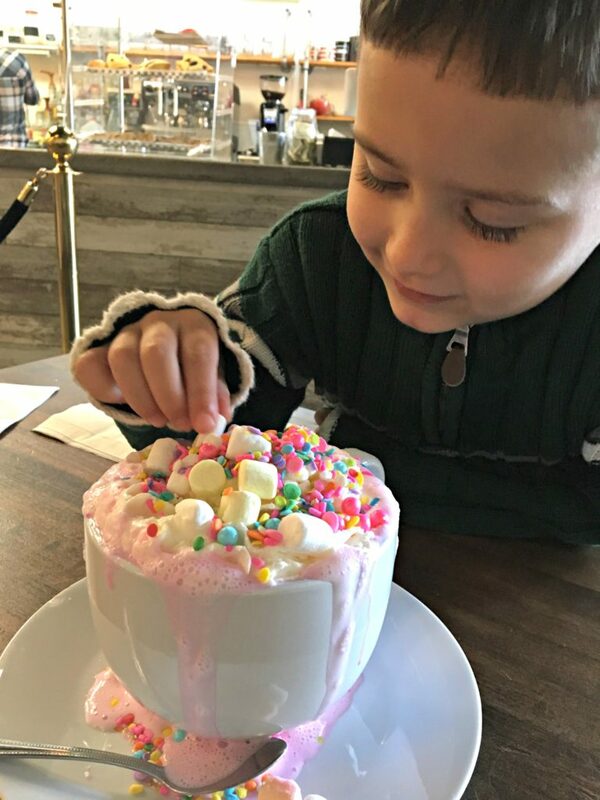 I loved seeing Nolan’s face light up when the big mug of overflowing fluffy yummies was served to us. 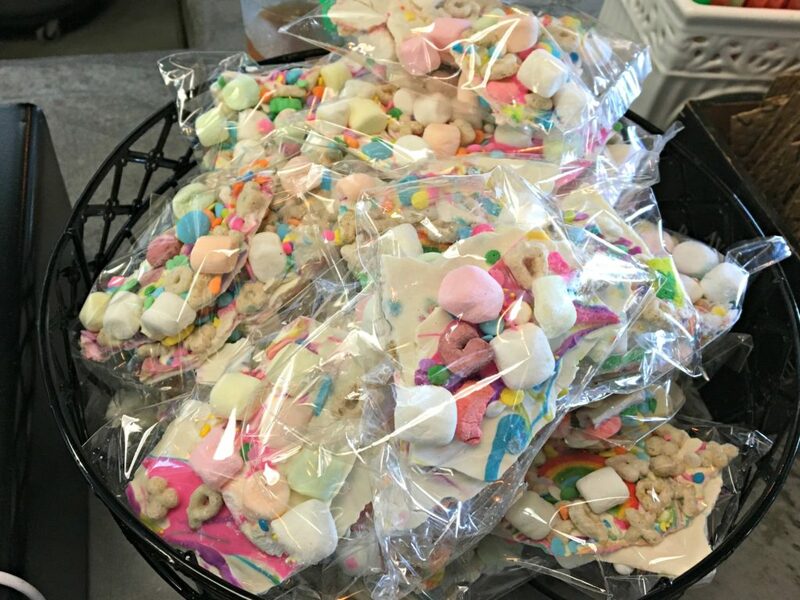 Considering he only ate the marshmallows and my taste buds and stomach could only handle a few sips, I felt like the $6.75 price tag was a bit steep. But it was one of those things that we had to experience once so we could say we did it. And I’m glad we did.